If you want to secure your perimeter and you want to have it recorded the whole time there then don’t worry, we have something for you that is just perfect for your use. Most of the times what happens that you want to record the area on camera but the battery dies and you have to replace the batteries and then mount the camera again. This could be a hectic job plus removing the camera from the spot and then mounting it back can make your locations suspicious too. In this case, you should use our solar security camera. It has a built-in battery and once the battery is fully charged, you don’t have to charge it again after use. There is a solar panel on the top of the camera and the camera will harness power from sun and will also charge the battery which eventually saves you from the trouble of changing the batteries. We have the best 4g solar security camera. Our solar camera is best for you if you want long time security. If you are planning to mount the camera for days, this is the best option for you. It has 12MP resolution, which is good enough for pictures. The pictures that it captures have high quality and there is no noise on the pictures. So, you can have the idea that pictures are professional to some extent. There are 42 LED’s which helps producing a sharp image. 2” display has been incorporated into the camera so that you can have the idea about the picture and it really shows the best picture. If you plan to capture images for a longer time and you want it to be continuous then there is Time Lapse mode which could be really helpful in that case. 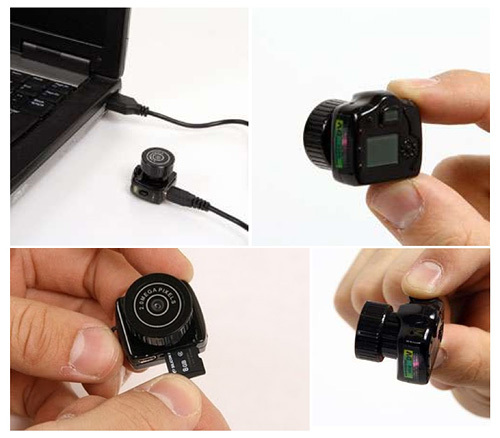 The camera records HD video and the video is recorded with the sound. There is a built-in microphone in the camera which captures the precise audio of the surroundings. The power of the camera is unlimited, you don’t have to worry about the charging or the battery changing processes. The trigger of the camera has speed of 0.07 seconds which is the fastest triggering speed available in the market. The LED’s mounted on the camera helps to produce the best possible image in night or low lighting situations. There are sensors on the camera that are in curved shape, it helps to detect the object in better way and the response time has gone faster. There are five detection zones and the camera detects automatically if the object comes near to the camera in range of 5’ to 80’. This is the best camera for you and if you want to upgrade the sensor of the camera, there is an optional sensor of 48 MP which gives you really sharp images.